Malai basically means cream and anything made with Cream has its own appeal to it! 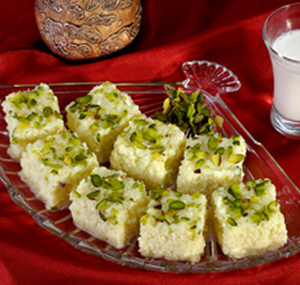 So is the case with our Malai Barfi! We make it with the best quality Malai and with the unique packaging we provide, we make sure that the sweet lasts for a couple of days for you to enjoy them at leisure.